Hardwell’s ‘Biggest Guest List’ event in India, as part of his United We Are Foundation, will apparently make history on Monday 13 December when thousands of fans will join him at the D.Y. Patil Stadium in Mumbai for the occasion. Now, thanks to the events official video partner Hotstar, viewers from over 75 countries will be able to tune in and witness the event first online and via the Hotstar mobile App. 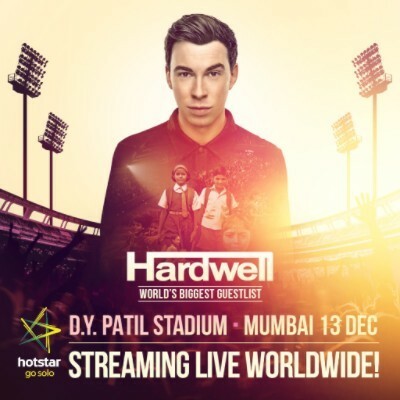 As the first music-based event to ever be initiated by the digital and mobile entertainment platform Hotstar, the United We Are Foundation has an exclusive Hotstar channel ready for clubbers from all over the world to tune in and be a part of this event, as well as watch videos and exclusive content from the Foundation’s three spearheads in Hardwell, Anna Agency CEO Anna Knaup and India’s Entertainment Maverick Shailendra Singh. With this event aid show aiming to change the landscape of philanthropy from within the electronic dance music community, the partnership with Hotstar enables viewers at home to also be a part of the occasion, and also bring much-needed visibility and awareness around the need for education. They originally set a goal of pulling 3,000 underprivileged children off the streets and into an educational programme that will steer them towards a better life with better awareness, better life skills, and better opportunities, in the journey from childhood to livelihood. The United We Are Foundation, working with the NGO Magic Bus, has already exceeded this initial target with large support from businesses, partners, music fans, including the ‘125,000+ fans that signed up to be on Hardwell’s personal guest list’, from all around the world. It has now been confirmed that 18,200 children will benefit from the money generated from the United We Are Foundation concert. 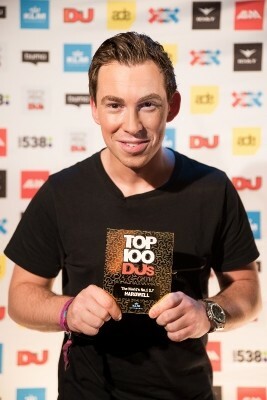 You join the cause and pledge at foundation.djhardwell.com/mumbai.